Get easy terms with 0% interest for up to 36 months AND the manufacturer's low Internet Promotional Pricing on new "step-up" and professional instruments. PLUS, our exclusive and guaranteed Buy-Back. Our top quality name brand student rental instruments come with free repairs for the school year, no interest or other fees, an easy exchange or return option, plus more! Starting at just $149 for the school year. Better quality for better sound! Get easy terms with 0% interest for up to 36 months AND the manufacturer's low Internet Promotional Pricing on new step-up instruments. PLUS, our exclusive and guaranteed Buy-Back. We are an official Eastman Strings Dealer with inventory arriving daily! Books and Supplies make Great Gifts! We have everything your child needs for band! 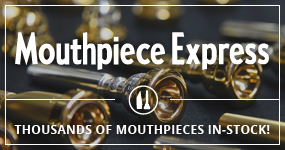 Thousands of mouthpieces, cleaning and care supplies like Flav-O-Mist, marching supplies like gloves, flip folders, and marching shoes and woodwind accessories like reeds, ligatures, caps, and more! Through training and collaboration with Tinnin Martin, Star City Music is pleased to announce the expansion of our repair shop for fine stringed instruments - including violin, viola, cello, and bass. Tim's Tagworks creates for you custom name tags with familiar designs as well as unique creations. 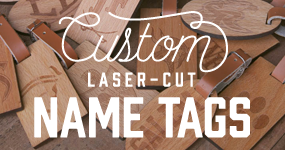 Our wooden tags are crafted out of Alder and then laser engraved with your special message, company or school logo on one side. Buy band supplies in the convenience of your bandroom vending machine! Check with your local band director to see if your school offer this option.